It is really a case of different strokes for different folks. While a horde of actresses like Eucharia Anunobi, Mercy Johnson and Dakore Egbuson have had numerous tales of postponed weddings trailing them, one woman who would not want a hint of that is celebrated actress, Patience Ozokwor, popularly called Mama G. To this end, the actress has sent out a stern warning to all those men who think every actress gets carried away by the mention of the word ‘marriage’.While on a location at Asaba, Delta State, where she went to shoot a new movie recently, the actress confided in some close associates that she has had to warn several men who are besieging her for her hand in marriage that she was no longer in the market for marriage. The actress noted that it was baffling that men would be worrying her for marriage, when there are lots of younger actresses looking for good suitors in Nollywood.Our source said that Mama G’s new disposition may not be unconnected with the rumours making the rounds that she has become the toast of Nigerian men in spite of the fact that she is a grandmother.“I do not blame the woman at all. Of course, she is a very pretty woman and it is obvious that her beauty has blossomed even as she ages gracefully. Most of the times these rich men send emissaries to her, meaning to profess their love to her, and the disturbance is increasing by the day. 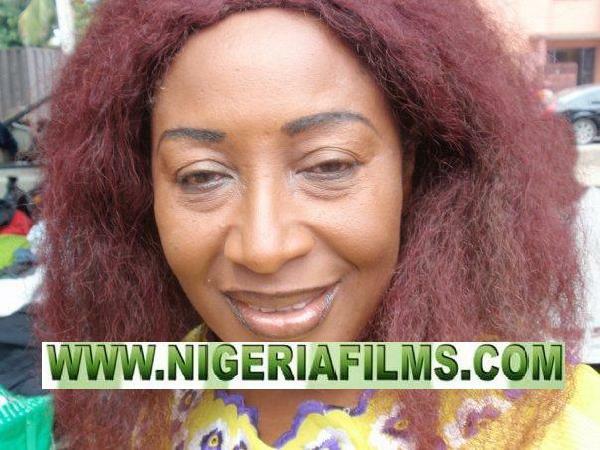 They usually go through people in the movie industry, especially those working as production assistants, who by virtue of their jobs have the contacts of most star actors and actresses”, NFC was told.According to a close associate of Mama G’s she is also being careful of most Nigerian men, because of the way they behave, especially when they are dating celebrities.“She knows that most men, especially the randy ones, will go out of their ways to say anything so that they can always make references to that in future. She sees herself as a responsible woman, which is why she is keeping everyone at bay. More so, she is an intending grandmother, and has so many people looking up to her”.